The Sacramento region has many health and mental health resources available to patients. For information about Covered California please visit www.coveredca.org for answers to frequently asked questions, a Shop and Compare tool, and enrollment help. 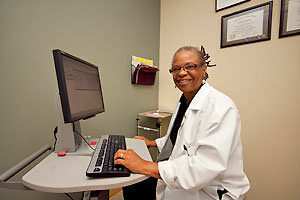 For uninsured patients, visit the Capitol Health Network to find a clinic and services near you. Community Resources for Older Adults, a directory published by the Sierra Sacramento Valley Medical Society Alliance, is available to help seniors, their families and those who provide services to seniors in our community. Download your free copy using the above link or pick up a copy at the Medical Society office. The California Medical Association publishes an Advance Health Care Directive Kit which is available for purchase on the CMA website www.cmadocs.org. The kit includes an Advance Health Care Directive form and wallet cards, as well as answers to questions commonly asked about Advance Directives. The Physician Orders for Life Sustaining Treatment (POLST) form is commonly used by patients with a serious illness or whose life expectancy is a year or less. The California Medical Association publishes a POLST kit which enables patients to outline a plan of care reflecting the patient’s wishes concerning medical treatment and interventions at life’s end. The kit includes legal forms and wallet identification cards, and answers frequently asked questions about POLST and other end-of-life issues. POLST kits are available in both English and Spanish and can be purchased from CMA’s online store.